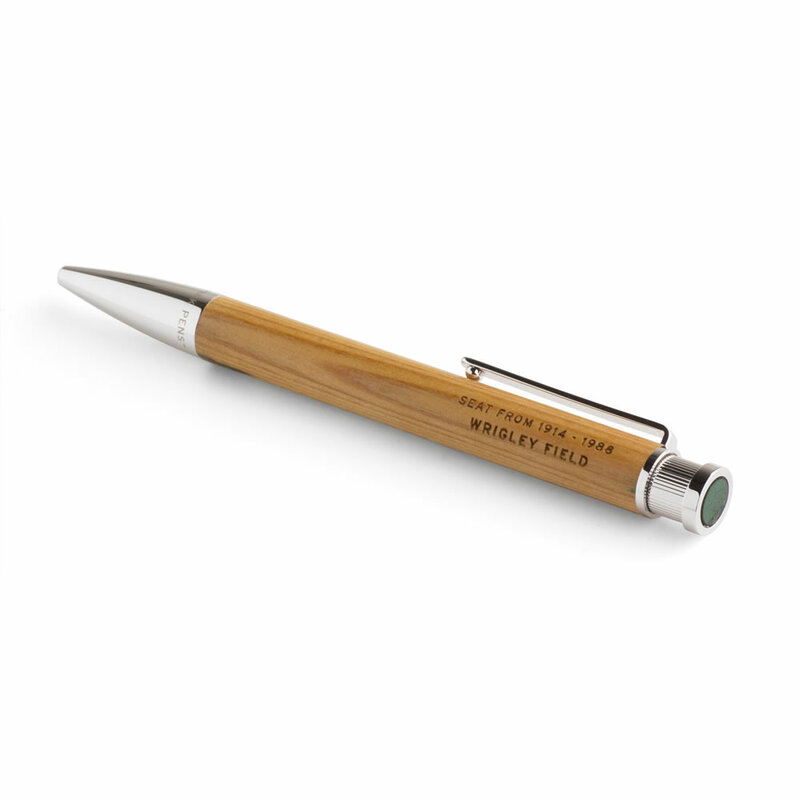 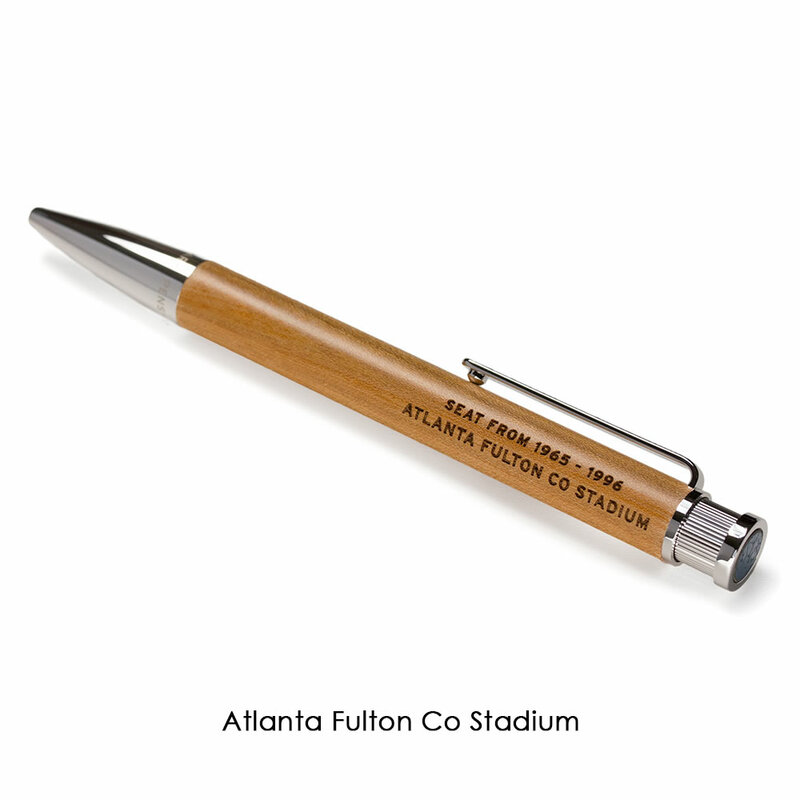 This is the rollerball pen crafted from wood seats salvaged from Major League Baseball stadiums. 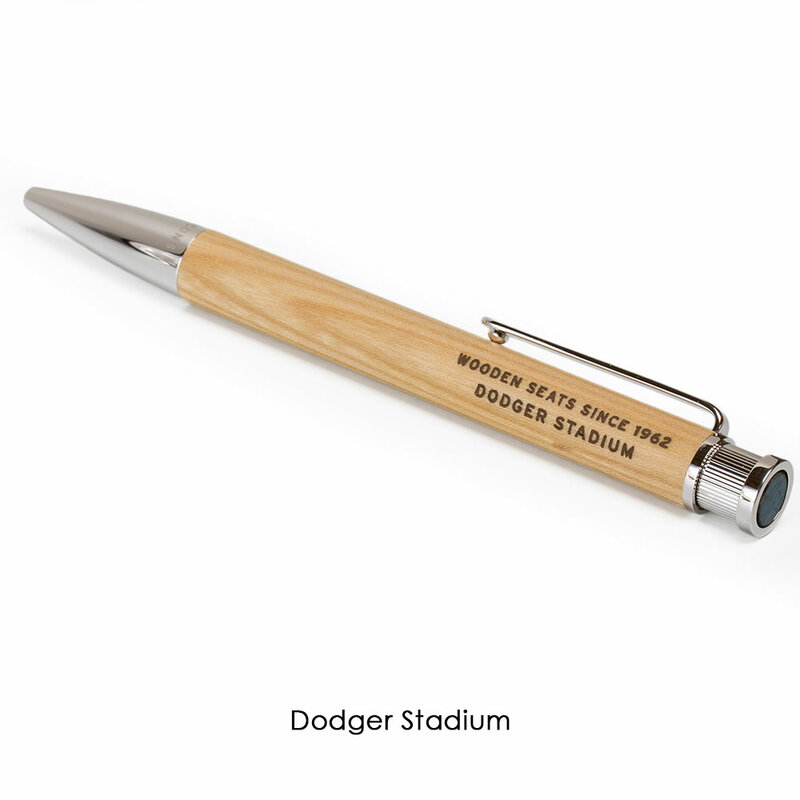 A unique artifact that honors America’s pastime, the barrel for each pen is fashioned using wood reclaimed from seats at iconic ballparks such as Yankee Stadium, Fenway Park, Wrigley Field, and Dodger Stadium. 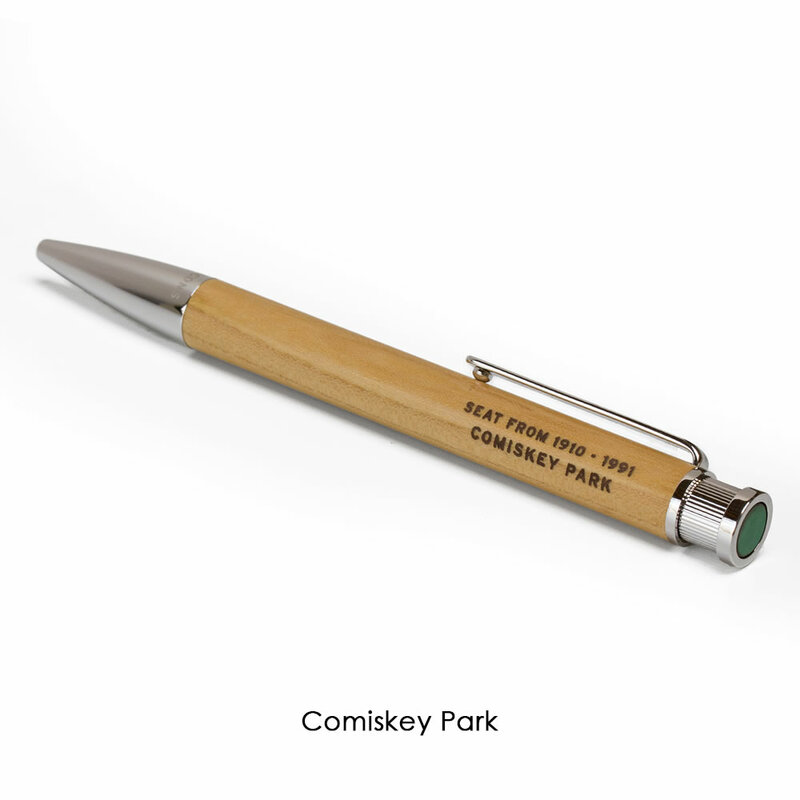 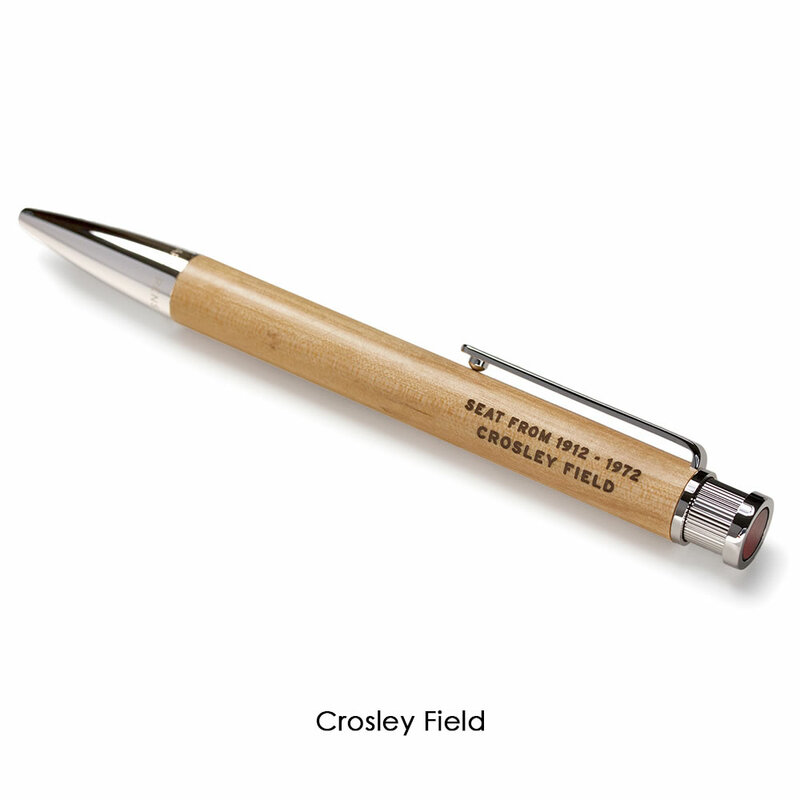 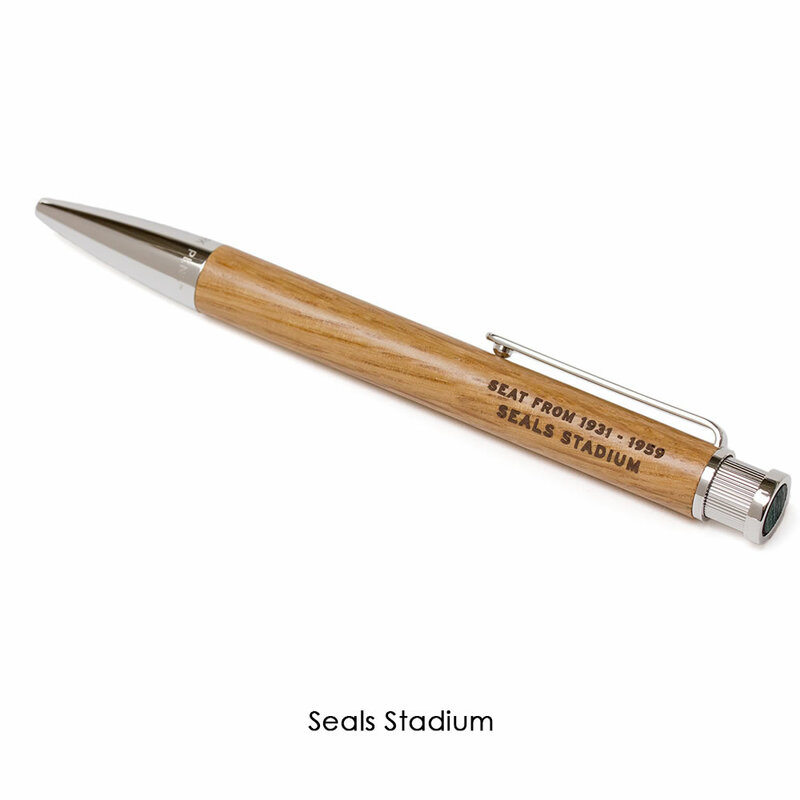 Fans of baseball’s golden age can even choose a pen created from legendary stadiums that faded into history decades ago, such as Forbes Field, Seals Stadium (where Giants HOF’s Mays and McCovey first played when the team relocated to San Francisco), and Crosley Field, where the first night game in Major League history was played. 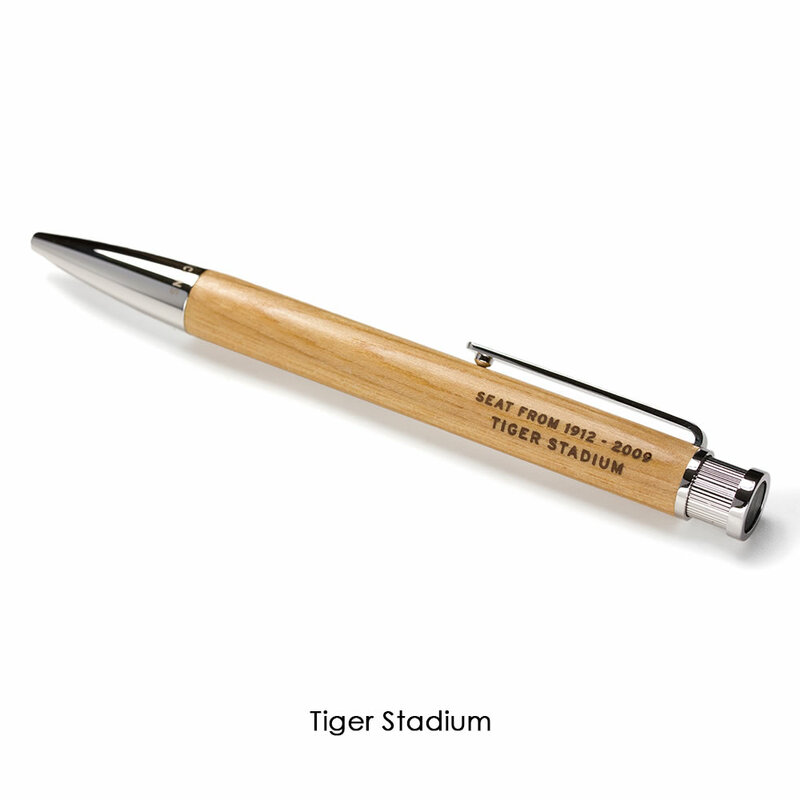 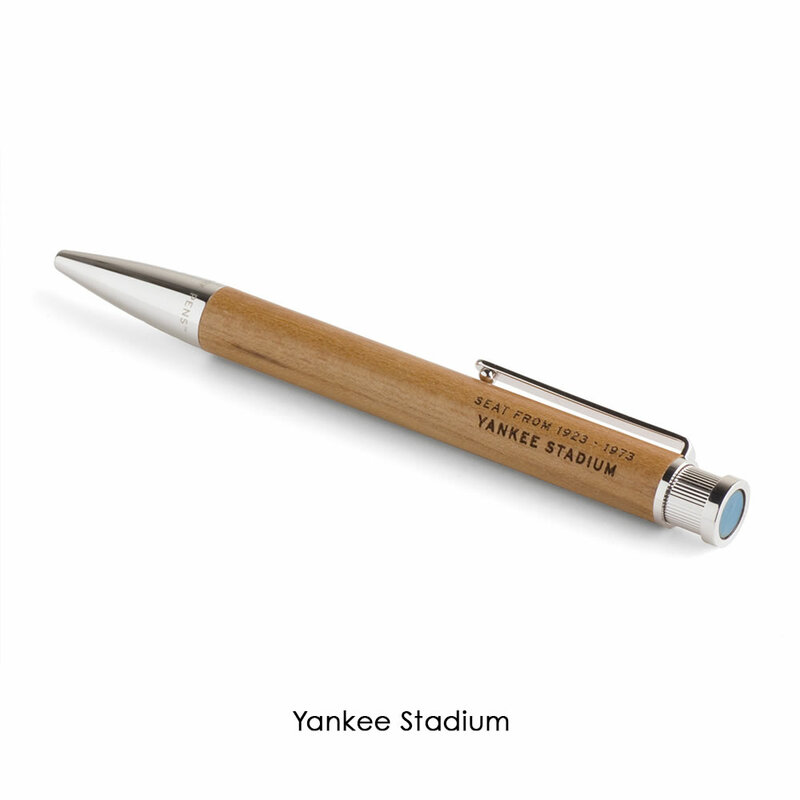 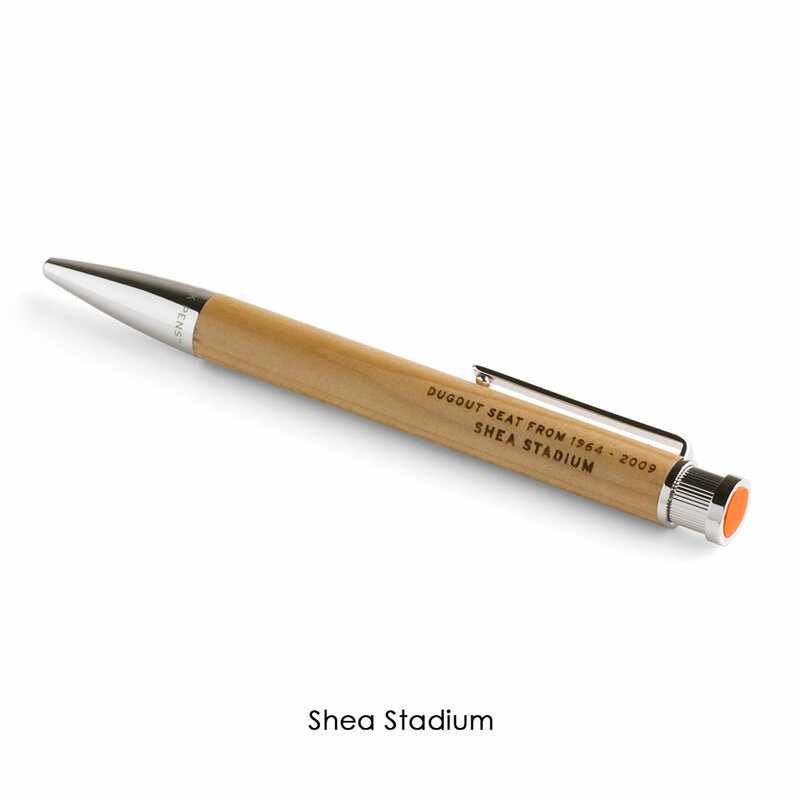 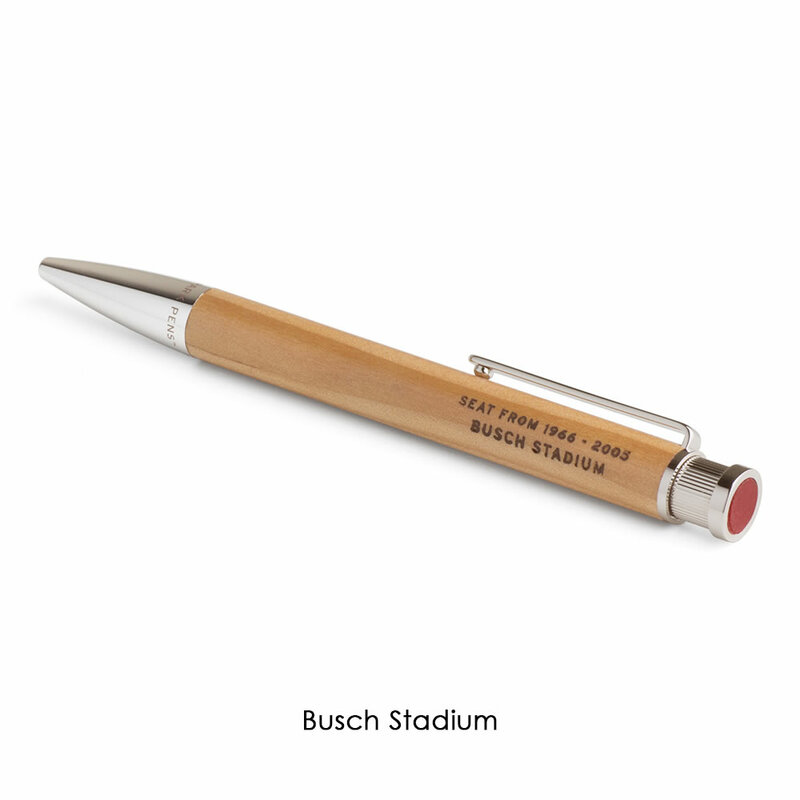 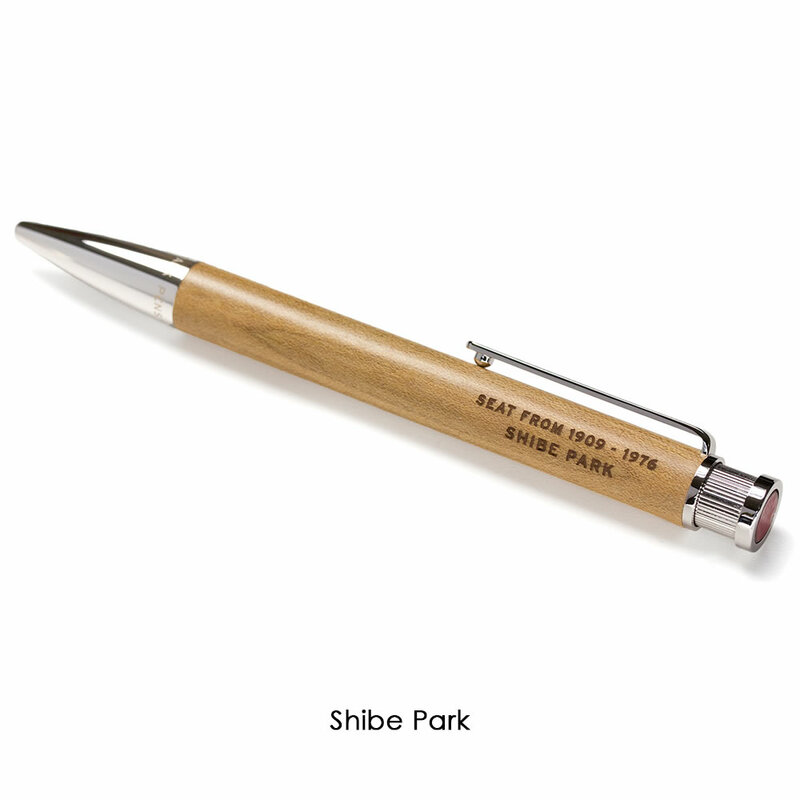 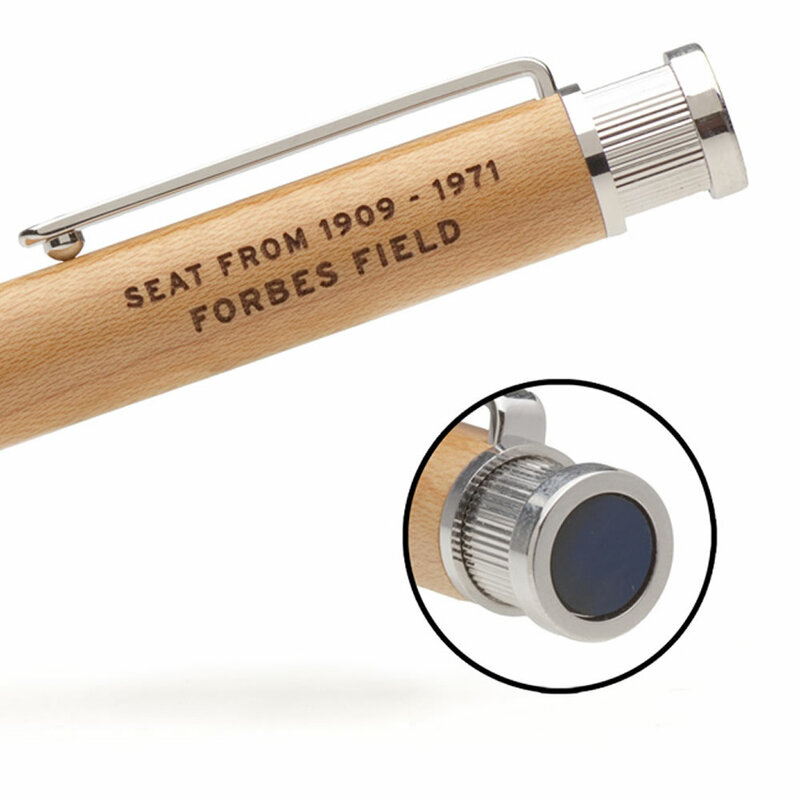 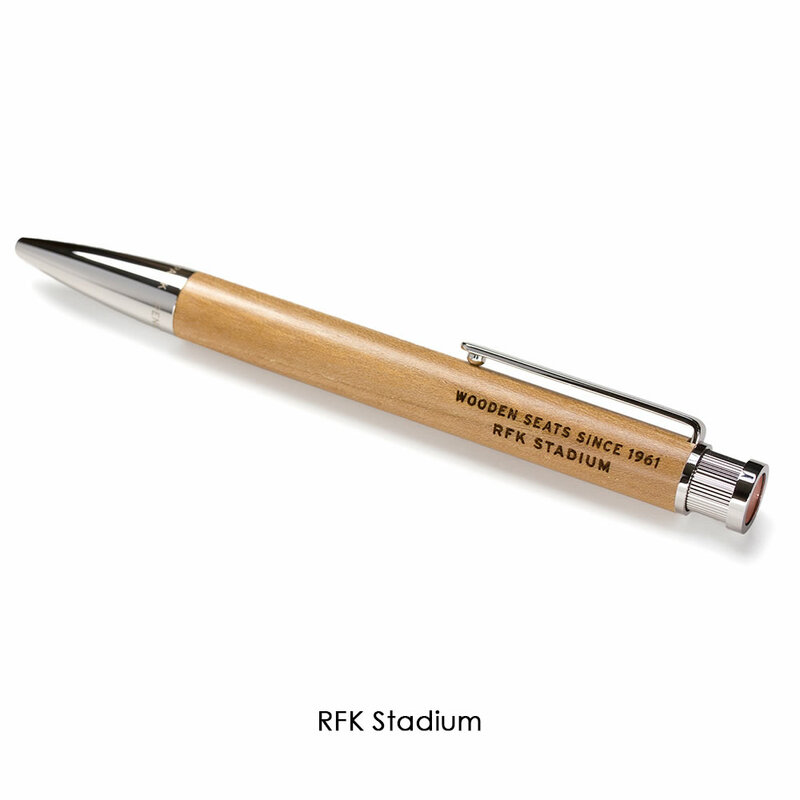 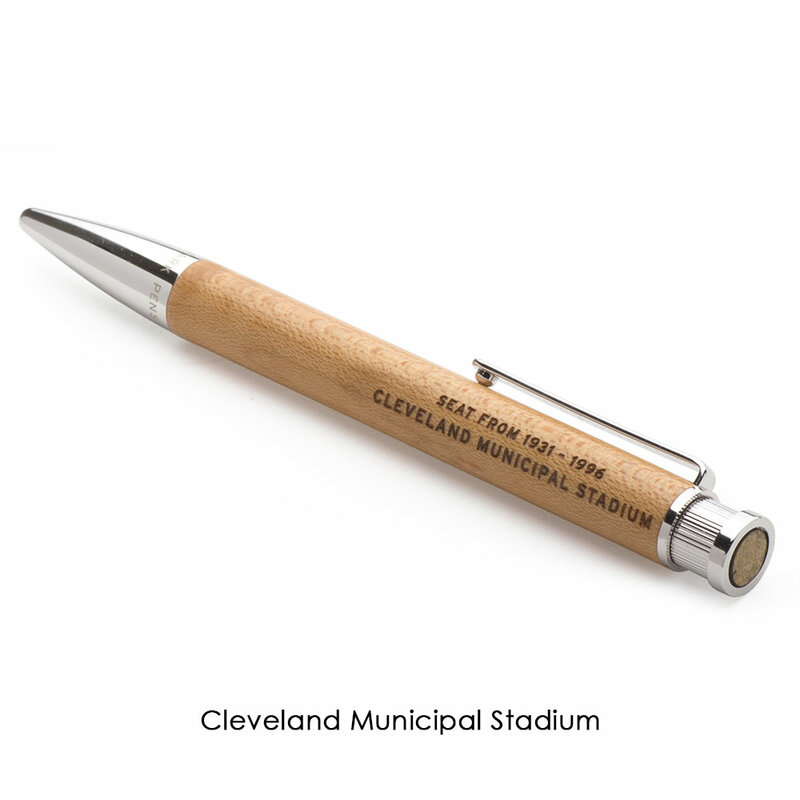 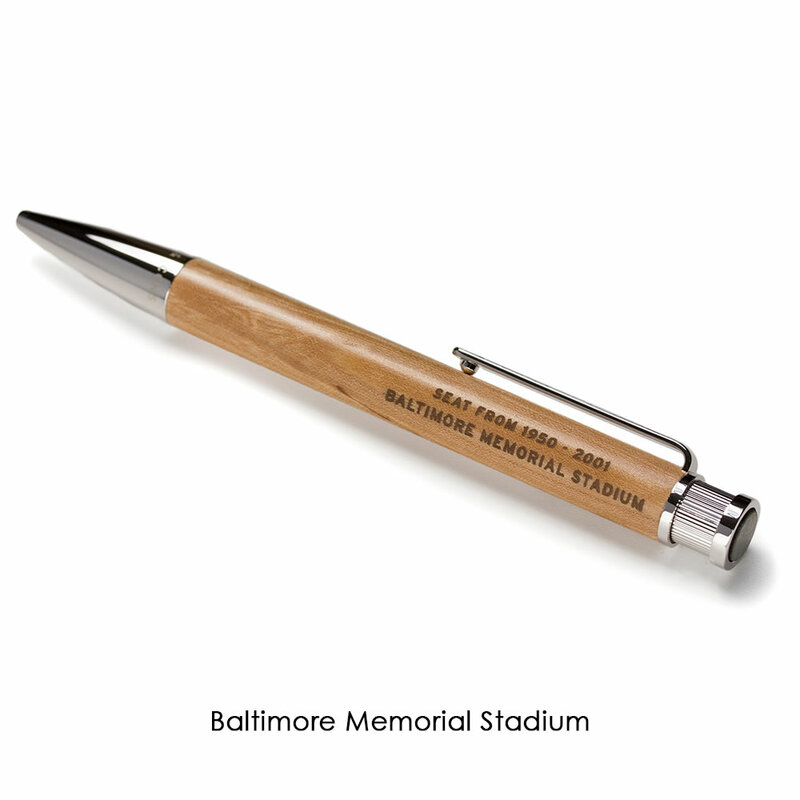 The name of the stadium is engraved on the barrel, and the top of the pen is capped with wood (except Shea which is plastic) that retains the seat’s original paint. 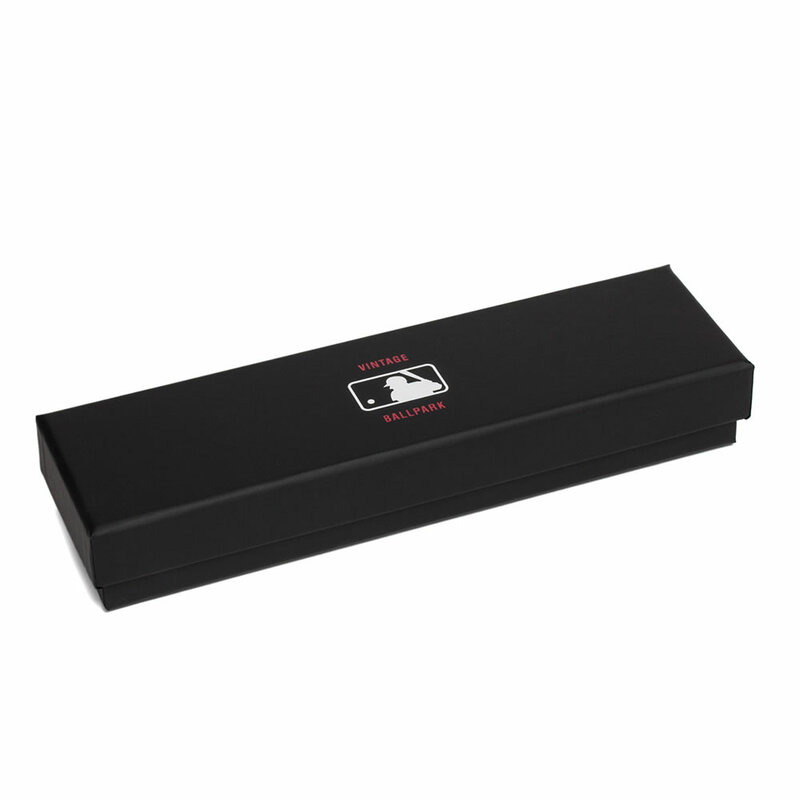 Officially licensed by Major League Baseball, the pen is presented in a handsome gift box with a certificate of authenticity. 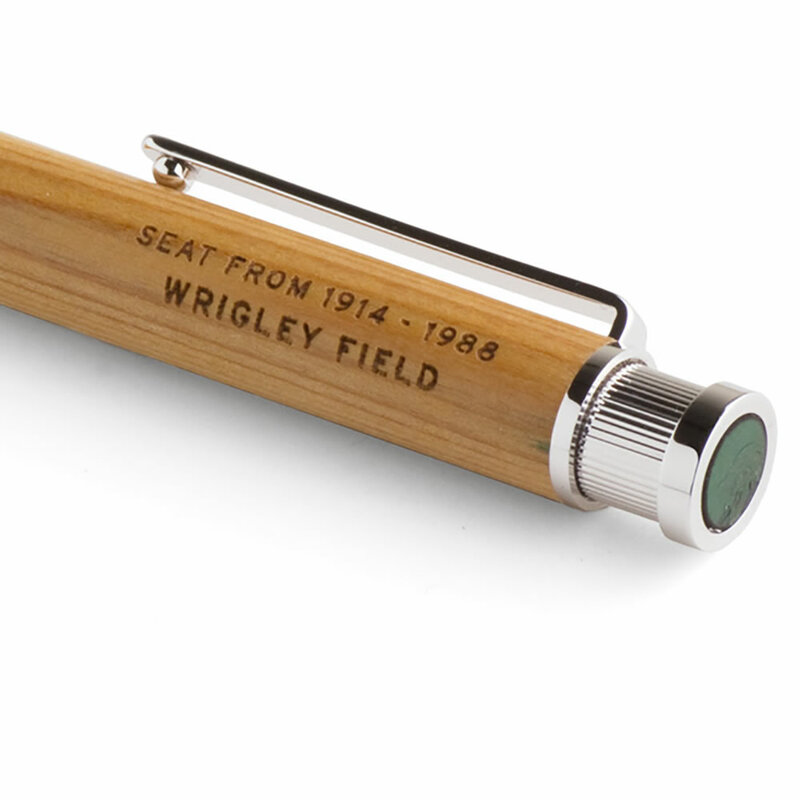 Due to the age of the wood and the unique shape of the seats, no two pens are alike. 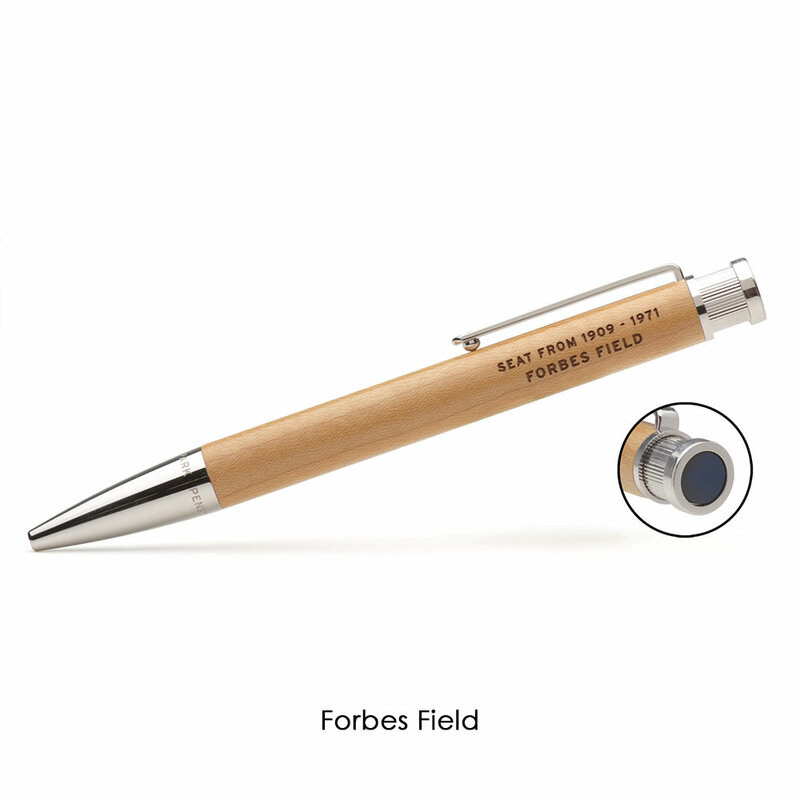 Uses widely available refills; comes with a black ink cartridge.